Learning to speak in front of a group can be natural for some children and traumatizing for others. Planning for this can be more comforting when the student knows what he or she is going to talk about. Using Common Core Standards spend one day planning and the next day speaking and listening. Make copies of the downloadable worksheet for each student. As the children gather around you, tell them your short prepared story. Make sure you follow the “Good Speaking Practices" below. 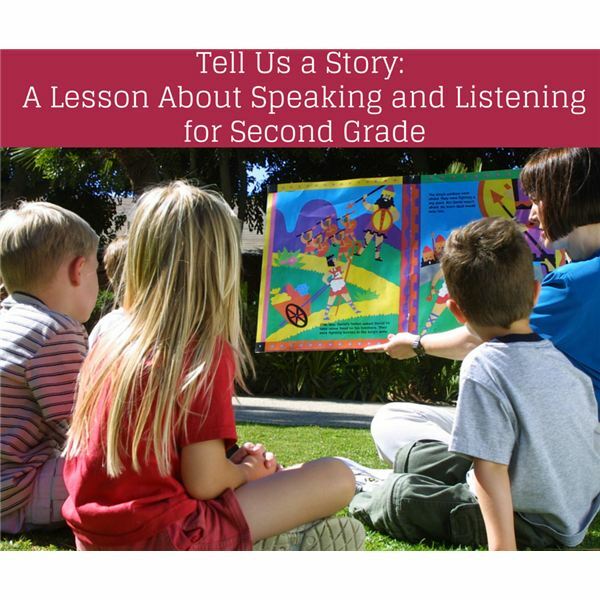 Then say, “Now it is your turn to tell your classmates a story about something that has happened in your life. Today you will come up with a topic and use a practice sheet to plan what you are going to say. Tomorrow you will present your story to the class. “Here are some things to remember. Put your story in the order of how it happened. Add some describing words so that your classmates can picture what is happening. For example, the fire was sizzling or the parade was colorful. Let us know how you felt. (I was so surprised when my grandmother walked in the house. I was sad when my dog ran away.)" You may want to brainstorm some ideas before the students start on the worksheet. Give the students the worksheets to help them organize their presentation. Since it is a practice paper, complete sentences are not necessary. Today each student will give a short presentation about something that has happened in his or her life. Remind students to be good listeners: no interrupting, be respectful and save thoughtful questions until the end. Discreetly take notes on each child’s presentation. Before beginning, discuss important speaking practices. Give both good and bad examples of each of the following points. Speak in a loud clear voice. Use details so your classmates will understand. Who was listening? Give students pieces of paper and instruct them to write numbers 1 to 10 on their papers. Ask them to answer questions about the presentations they heard. Questions might be something such as, who went to Disneyland, who got a new puppy and who was scared?